Although Brady is known for his stellar moves, the Facebook miniseries “Tom vs Time” gives viewers an in depth look at the life of New England’s Golden Boy. The series is broken up into five 15-minute long episodes, each tackling a different area of Brady’s work on and off the field. The miniseries primarily focuses on Brady’s home life, as most of America knows about his legacy on the field. A majority of “Tom vs Time” was filmed in the 2017 off-season after New England’s historic win over the Atlanta Falcons in Super Bowl 51, and a sprinkle of the first four weeks of the 2018 season. Aside from the filming, director Gautam Chopra stated Brady was not willing to do the documentary at first as it would distract him from his career. As his 40th birthday rolled around, the quarterback finally agreed. When Brady and Chopra met to discuss the show, Brady insisted that he would play for five more years, and that the show would not be a “legacy thing.” Chopra’s vision was not only to film Brady’s training and home life, but also focus on his mental durability and determination. Brady explains to the audience that football is more than his first love: it is his life, and players should be willing to give up their life when playing against him because he gives his. Chopra beautifully captures the essence of Brady’s work ethic. As he sits at home with his son and reviews film tape, viewers are shown how much time Brady puts in off the field and how his football knowledge is ever-growing. Chopra follows Brady and wide receivers Julian Edelman and Danny Amendola to a retreat in Montana where they further intensify their synergy. Brady’s motto for the retreat was simply work hard and play hard. In the morning, the trio would practice plays and intense drills in the desert heat. After winding down from practice, the group would venture on to intense outdoor activities. In one scene the teammates were seen riding ATVs down a muddy desert road. When he returns home, Brady begins to re-watch old football tapes and plan the rest of his week. According to Brady’s wife, Gisele Bündchen, her husband’s life is divided into two throughout the year. During the off-season, Brady is more involved with the family. 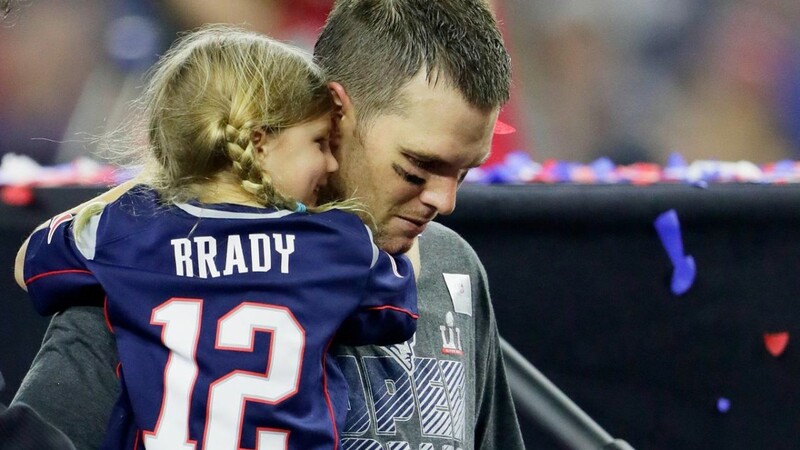 When the season starts up, Brady keeps his fatherly roles along with his quarterback responsibilities. In the fourth episode of the series, Brady and his son travel to China to bond. Brady works on his brand and company TB12 on the trip while exploring the Chinese culture. When New Englanders tune in for a Sunday afternoon Patriots game, they cannot help but feel true happiness. The Patriots have brought an aura of epic-ness to their fans, but many do not know the amount of work that is put in by each person associated with the team. Tom Brady gives viewer a glimpse of his MVP and hardworking lifestyle while defining all NFL standards and being one of the best quarterbacks in the NFL at age 40.